U.S. Army Spc. 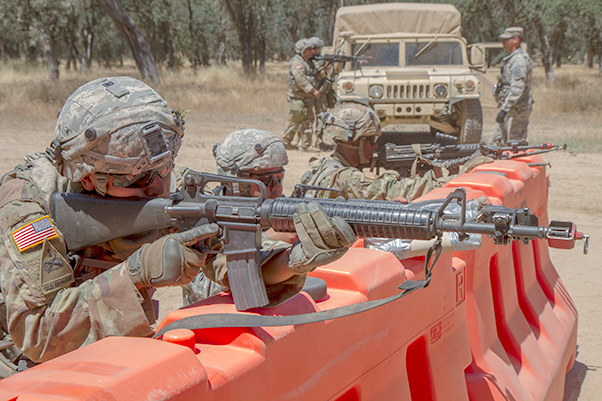 Johnathan Alvarado, 491st Military Police Company out of Riverside, Calif., points his weapon out towards the road during a security checkpoint training exercise as part of the 91st Training Division’s Warrior Exercise (WAREX) 91-17-03 on Fort Hunter Liggett, Calif., on June 15, 2017. Alvarado of Lancaster, Calif., keeps guard over the checkpoint until the threat has been dealt with.